It all went wrong for the pole-sitter Lo Szeho from the very start of race 1 at Wuhan in Round 9 of China GT. 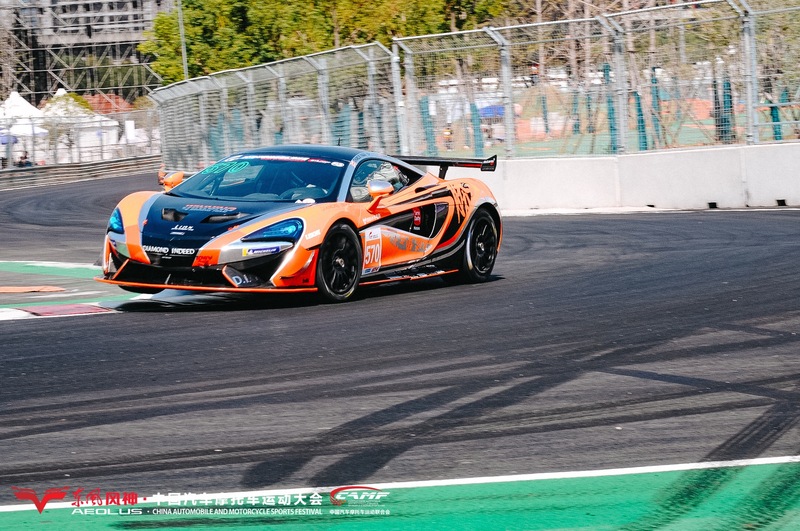 The Hong Kongese driver braked late into T1, but his #86 KTM collided with the Dong Liang’s #540 McLaren, who came from the outside, sending both into the barrier while taking out Lo’s GTC teammate Song Bo. Nothing says crazy street race quite like three retirements right from the get go. Stanley Yang in the #618 China Equity AMR inherited the lead after the safety car period, followed by teammate Rodney Tu and Winning Team’s David McIntyre. After the pit stop, McIntyre’s co-driver Charlie Fagg managed the jump the #619 entry who had an unusually long pit stop. 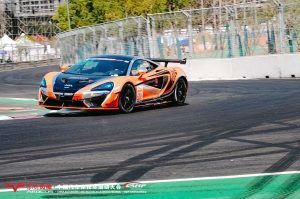 The British GT campaigner than began to hunt down fellow Briton Jack Mitchell, who was recently crowned the British GT GT4 champion. Fagg quickly slashed Mitchell’s lead by pounding out one fastest lap after another, taking over a second a lap out of the #618 China Equity AMR. He finally made it stick on lap 28 by diving down the inside of Mitchell to claim the lead in the move of the weekend. Redemption, as the teenager puts it, in reference to Mitchell edging him to the British GT championship by 2 points. And redemption it was. Behind them, Martin Xie in the #619 suffered punctures twice when running over the T1 kerb, and finished 3 laps down from Fagg and Mitchell. In round 10 Dong Liang bounced back strongly from an off-colour R9 race and vaulted from the back of the grid to P1 with a 20-second lead before the pit stop. Liang’s Winning Team teammate David McIntyre held off his Aston Martin rivals and handed the car to fellow Briton Charlie Fagg in P2. Fagg then led the charge to cut down the 30-second gap against Dong, and in the end Dong let his teammate by to maximise McIntyre’s championship points. By handing the #570 entry the victory, David McIntyre now leads the GT4 drivers’ title by 2 points. 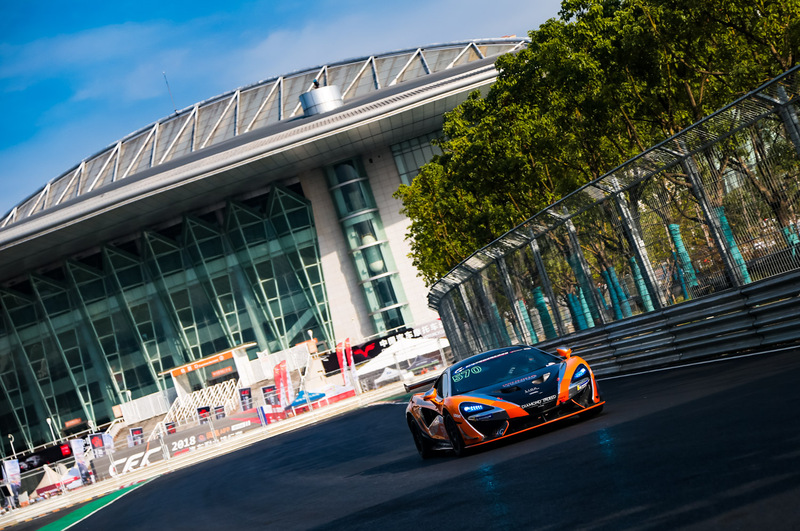 A number of cars struggled with grip on a slippery Wuhan street circuit. Stanley Yang lost his rear on the high speed left-hander at T9 and suffered suspension damage. He returned to the pit and were four laps down as a result. Jack Mitchell put on a valiant charge after a prolonged pit stop but ultimately the gap was too big for the #618 duo to move up the grid. The #619 of Rodney Tu and Martin Xie also struggled for pace. They were consigned to the pit when a problem developed late in the race and they crossed the finish line fourth.